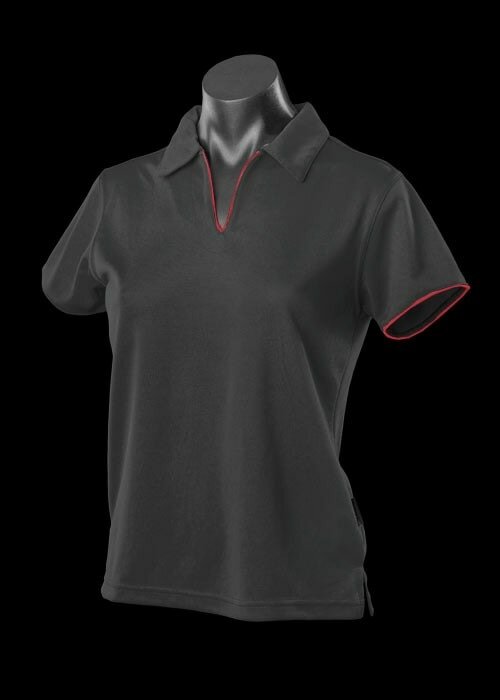 Yarra Ladies Polo in Black with red trim. Click on image to enlarge. This style of ladies shirt has the unusual sizing of 8-10, 12-14, 16-18, etc, rather than 8, 10, 12, etc. 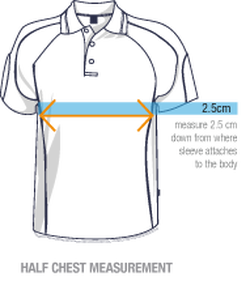 We have been advised, as a rule-of-thumb, it is best to order a size bigger eg, if you are a 10 then you should order the 12-14(not the 8-10), if you are a 14, then order 16-18(not the 12-14) etc. This particular ladies style is the only one that has this unusual sizing.